With the longest government shutdown in U.S. history behind us, ENERGY STAR Portfolio Manager is back online and most city/state benchmarking mandates are back on schedule. However, ENERGY STAR certifications are still on hold as the EPA continues to evaluate their scoring models. 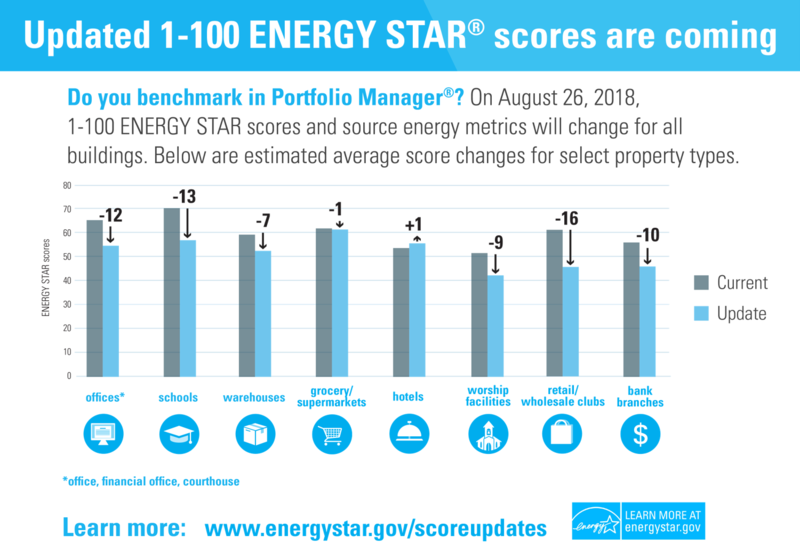 In August 2018, the ENERGY STAR scores of many building types dropped as part of EPA's regular cycle of updating energy performance metrics in Portfolio Manager. While scores changed across the board, some markets were disproportionately impacted. The EPA has placed a hold on ENERGY STAR certifications for most property types (e.g., office, retail, hotels, warehouses) while they analyze industry feedback on the scoring changes and determine if adjustments need to be made. The government shutdown has prolonged this process. ENERGY STAR Portfolio Manager is used for every major benchmarking mandate across the country and the list keeps on growing. Aside from the City of Seattle, all mandates appear to be back on schedule (see table below). If you need benchmarking support, Breea can help you navigate the specifics.